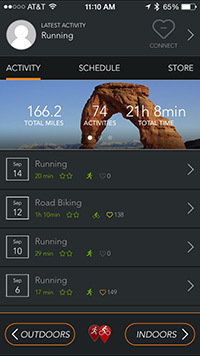 Final Surge is proud to introduce our new partner app for iOS _ FitTrip. FitTrip allows you to record both indoor and outdoor workouts with your iPhone, iPad or Apple Watch. The app will pair with any Bluetooth enabled or Ant+ heart rate monitor such as Garmin, Wahoo Fitness and the Mio Alpha sports watch. If you are running or cycling outdoors, FitTrip will leverage your phone’s GPS and give you distance, pace, speed and heartrate. 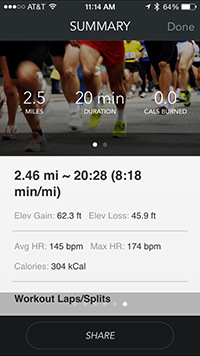 In addition, the app to take automatic splits every mile and keep track of heart rate zones during your workout. 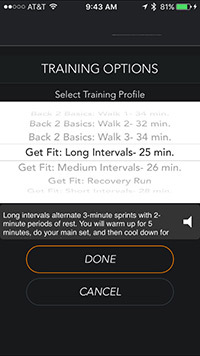 The app also includes training profiles that will give you audio cues during your run or ride such as when to start your interval, increase or decrease pace based upon heart rate zone or how long to run at your tempo pace. However, the real power of FitTrip comes when doing indoor workouts. 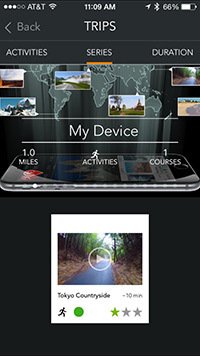 FitTrip allows you to run or ride anywhere in the world through its unique video workout collection. Download course videos and ride through the French Alps, climb Patagonia or run on the sandy beaches of Cozumel. When paired with your heart rate sensor, FitTrip makes your workout interactive and is able to determine your real-world speed on the course. Push harder on your treadmill or indoor trainer and you’ll go faster! Final Surge users can now connect their Final Surge account to FitTrip. 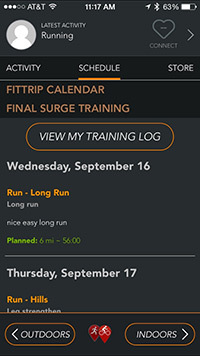 This allows you to see your upcoming Final Surge workouts through FitTripÍs Schedule tab, and allows you to access your entire Final Surge training log. In addition, FitTrip now allows you to automatically or manually sync completed workouts to Final Surge. 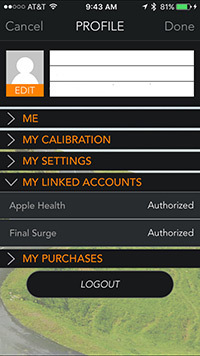 Once you complete your workout with the app, it will now be in your Final Surge training log within seconds! The free version includes outdoor workouts and 3 five minute video samplers. The full version, which includes the full video library can be purchased for $4.99 per month or $49.99. You can also purchase course bundles for a one- time fee of $4.99 per bundle. Use the coupon code finalsurge30 in the store on the app for a 30 day trial of the full app.